Earlier this year government benefits for nutritional assistance were reduced after the expiration of emergency legislation that was enacted following the 2008 financial collapse. Nearly all of the 48 million people receiving food stamp distributions were affected. The move led to warnings from food pantries and recipients around the country who said that the $40 billion in cuts would leave many American families without the ability to put food on dinner tables across America. According to Feed America, the roughly $29 per family that would no longer appear on their EBT cards will amount to about 1.5 billion meals in 2014. Because the government now claims that we are in a period of economic growth we will see more cuts to emergency assistance over the course of the next year. As of midnight Saturday some 1.3 million Americans who lost their jobs in the last two years and were left with no choice but to collect unemployment benefits due to the worst jobs market since the Great Depression have now seen their benefits expire. Long-term unemployment benefits for 1.3 million Americans expired Saturday after Congress failed to pass an extension. Reinstating those benefits is expected to be one of the first priorities for congressional Democrats in the new year. “This morning, the President placed separate telephone calls to Senator Jack Reed and Senator Dean Heller to offer his support for their proposal to extend emergency unemployment benefits for three months,” White House Principal Deputy Press Secretary Josh Earnest said in a statement. Five millions Americans will be losing access to what essentially amounts to their paycheck. And we’re not talking about a $29 cut to food stamps. We’re talking about a mortgage payment, a healthcare payment, and funds to pay for essential utilities. All of it will be vaporized by the end of the year. This will affect not just those five million people, but their dependents as well, which amounts to at least an additional 5 – 10 million people. Congress and the President propose to extend these benefits for another three months, and most would suggest that this will avert the emergency. What happens after we kick the can down the road for another three months? Will President Obama somehow magically create 1.3 million shovel-ready jobs? The problem is that there are no meaningful jobs available. So you can extend these benefits for six months, or even two more years, and we’ll be right back where we started once they expire – perhaps even worse off as prices for everything from food to utilities to health care rise unabated. 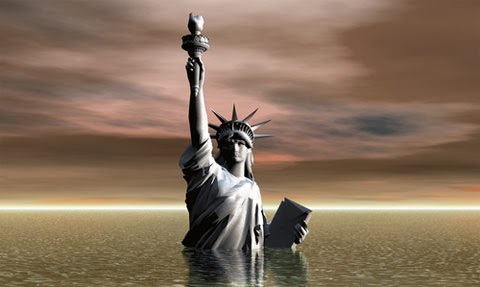 When a DHS Insider warned recently of a crisis of unprecedented magnitude within the United States he noted that we are in the midst of a long-term economic collapse. Given what is transpiring around us, can anyone honestly say that our economy is actually recovering? President Obama claims that failing to extend the unemployment benefits for these 1.3 million people will hurt economic growth and jobs. He has just broadcast the severity of the situation we face. It should be clear that without government intervention and backroom machinations the entire system will come unglued. Stocks would crash, millions would be starving in the streets, and the violence that the Department of Homeland Security and US military have been preparing for would take hold across the streets of America. That may sound sensational, but consider that just one week ahead of the cut to food stamp benefits of $29 per family the Department of Homeland Security spent $80 million to beef up security in New York City with the expectation that those who lost their benefits would start rioting. They know that we are rapidly approaching a breaking point, otherwise why would they be preparing for it? The government has no choice but to keep pumping out money and emergency assistance, whether that be to people who have lost their jobs or the banks that provide the lending. The second (literally) that they pull back on the monetary, financial and economic intervention we will see a catastrophe that few can imagine. It’s coming. If you’re paying attention you can’t go a day without seeing the signs. The only question is: Are you prepared for when it happens?